319. Han Tang, Fangyu Xiong, Yalong Jiang, Cunyuan Pei, Shuangshuang Tan, Wei Yang, Maosheng Li, Qinyou An, Liqiang Mai. "Alkali ions pre-intercalated layered vanadium oxide nanowires for stable magnesium ions storage" Nano Energy, 2019, 58347–58354. 317. Yu Cheng, Yangyang Xia, Yiming Chen, Qin Liu, Tong Ge, Lin Xu, Liqiang Mai. 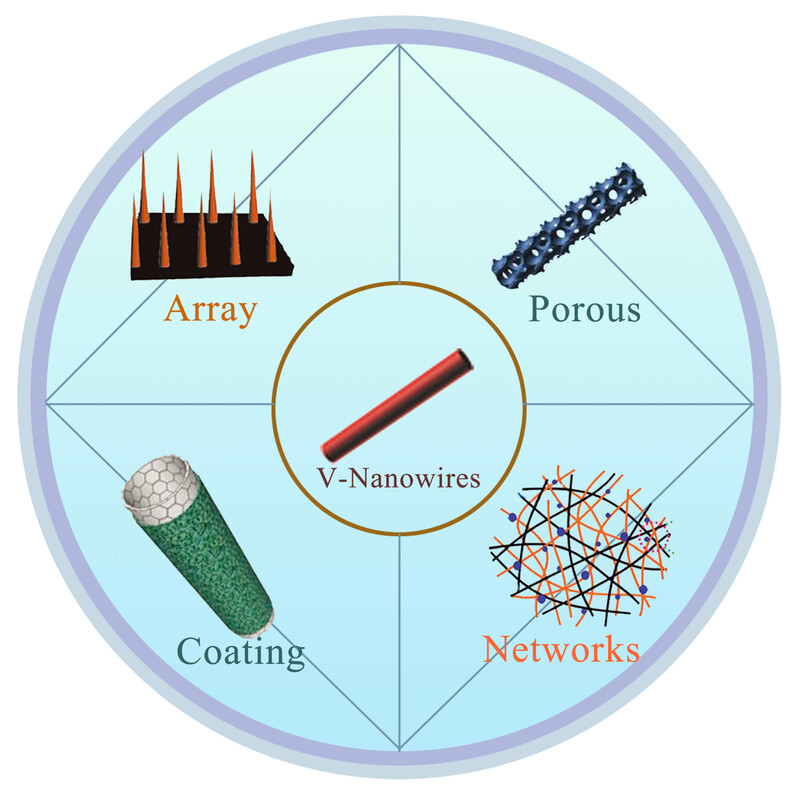 "Vanadium-based nanowires for sodium-ion batteries." Nanotechnology, 2019, 30.192001. 316.Wen Luo,Jean-Jacques Gaumet, Pierre Magri, Sébastien Diliberto, Feng Li, Pascal Franchetti, Jaafar Ghanbaja, Liqiang Mai. 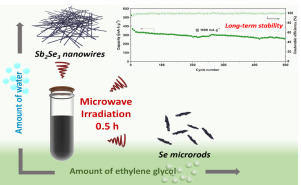 "Fast, green microwave-assisted synthesis of single crystalline Sb2Se3 nanowires towards promising lithium storage." Journal of Energy Chemistry, 2019, 30, 27–33. 314.Jiantao Li, Haoyun Liu, Manman Wang, Chao Lin, Wei Yang, Jiashen Meng, Yanan Xu, Kwadwo Asare Owusu, Benli Jiang, Chuanxi Chen, Danian Fan, Liang Zhou, Liqiang Mai. "Boosting oxygen reduction activity with low-temperature derived high-loading atomic cobalt on nitrogen-doped graphene for efficient Zn–air batteries." Chemical Communications,2019,55,334-337. 313.Xinyu Ma, Xufeng Hong, Liang He, Lin Xu, Yanjia Zhang, Zhe Zhu, Xuelei Pan, Jiexin Zhu, Miqiang Mai. 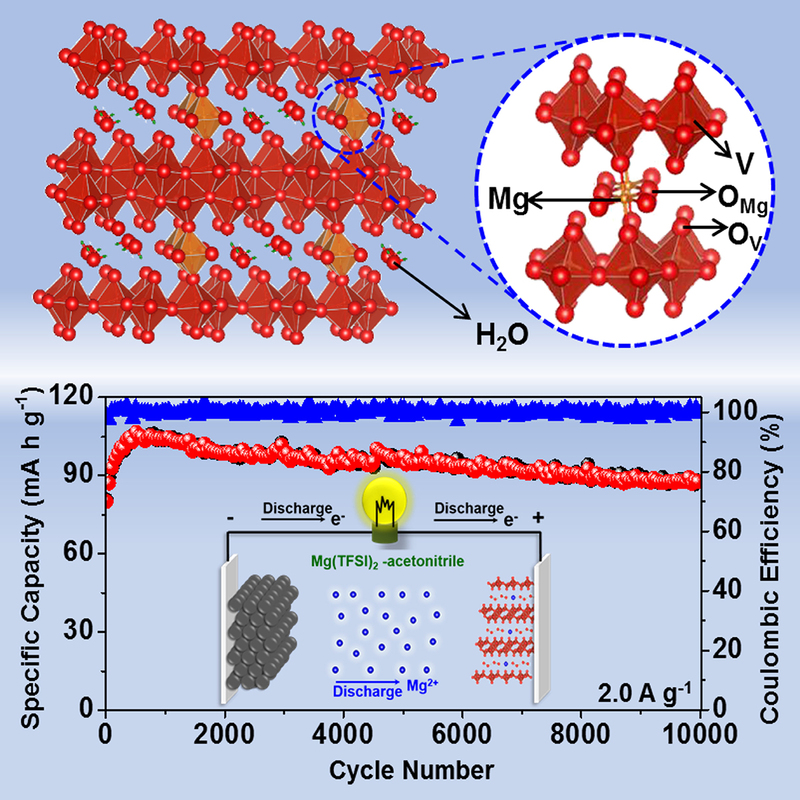 "High energy density micro-supercapacitor based on a three-dimensional bicontinuous porous carbon with interconnected hierarchical pores." ACS Appl. Mater. Interfaces, 2019, 11 (1), 948–956. 310.YananXu, WeijieCao, YamengYin, JinzhiSheng, QinyouAn, QiulongWei, WeiYang, LiqiangMai. 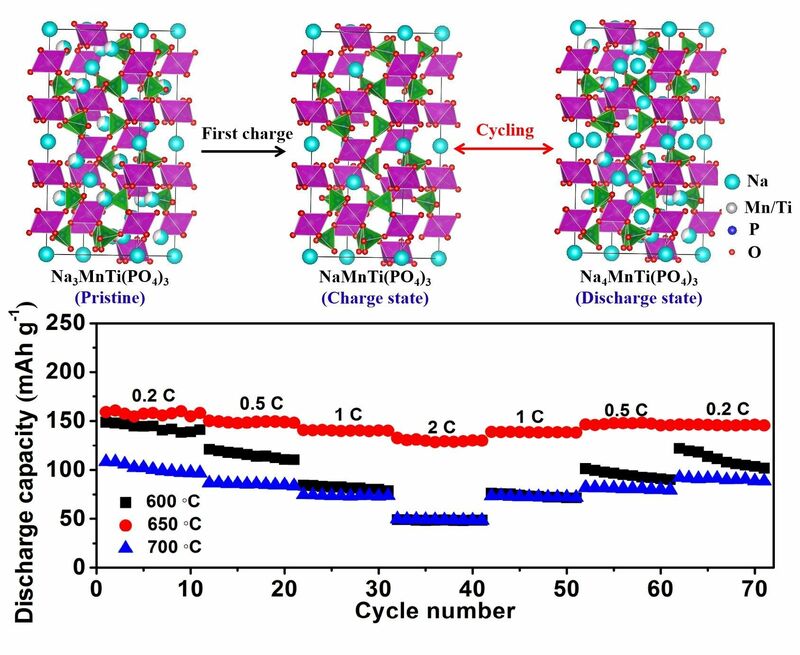 "Novel NaTi2(PO4)3 nanowire clusters as high performance cathodes for Mg-Na hybrid-ion batteries".Nano Energy, 2019, 55, 526-533. 309.Ping Hu, Ting Zhu, Xuanpeng Wang, Xufeng Zhou, Xiujuan Wei, Xuhui Yao, Wen Luo,Changwei Shi, Kwadwo Asare Owusu, Liang Zhou, Liqiang Mai,"Aqueous Zn//Zn(CF3SO3)2//Na3V2(PO4)3 batteries with simultaneous Zn2+/Na+ intercalation/de-intercalation." Nano Energy, 2019,58, 492–498. 307. 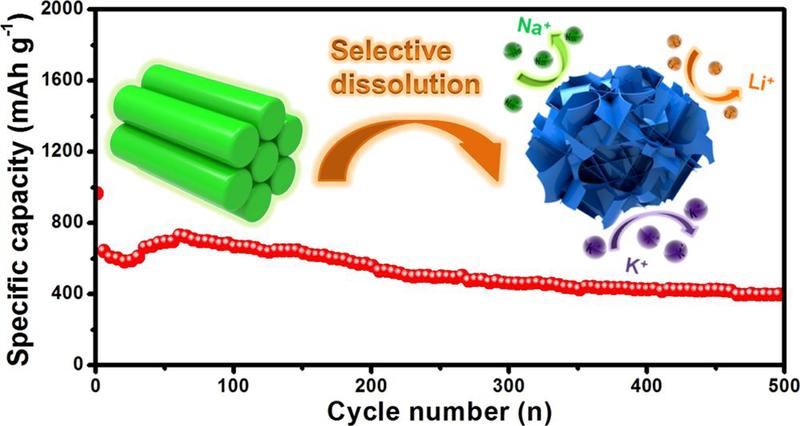 Chao Lin, Longbing Qu, Jiantao Li, Zhengyang Cai, Haoyun Liu, Pan He, Xu Xu, and Liqiang Mai,"Porous nitrogen-doped carbon/MnO coaxial nanotubes as an efficient sulfur host for lithium sulfur batteries." Nano Research, 2019, 12(1), 205–210.